iPhone vs Android: Which is Better to Be Your Next Smartphone? Spider-man vs Batman, Marvel vs DC. Creamy peanut butter versus chunky. Some debates will rage on through time. iPhone vs Android argument is in the same way. When it comes to buying one of the best smartphones, the first choice can be the hardest: iPhone or Android. It's not easy, both Android vs iPhone have their own qualities that are preferred by variety of people around the world. And roughly speaking, iPhone X/8, Samsung Galaxy Note 8/S8, HTC M10, Huawei Mate 10 etc., they look the same other than brand and price. However, a closer look shows there is a big difference in iOS vs Android comparison, not only the brand and price, but also features, pros and cons. 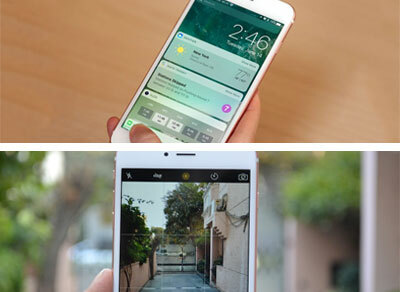 Here is a detailed comparison to help you figure out which is better, iPhone or Android. Upgrade to iPhone 8 or Move to Android? Backup Data First! No matter you plans to upgrade to new iPhone 8/8 Plus, or switch to Android phones, backup old iPhone data comes to the crucial. But how? Try MacX MediaTrans! 1 Step to backup iPhone (7/6/5s/SE/6s) files before upgrading to iPhone 8/Plus. Restore computer backup to iPhone 8/7/6, two-way iPhone transfer tool. iPhone manager: create/edit/delete files, make iPhone ringtone, convert files. Remove DRM from iTunes purchases; convert M4V to MP4, M4B/M4P to MP3, etc. As you can see, it seems Android has won in the iPhone and Android comparison from the 2016 market shares. But not exactly, if you go further for the data. As a single phone from iOS, it's a big win for iPhone, being able to compare with a collection of Android phones. To compare iPhone and Android, iPhone is featured with timely software updates, earlier App release date, and incredibly fast Touch ID etc., not to mention that features has been improved a lot on iOS 11 compared with iOS 10. On the other hand, Android is always on the leading edge in the aspects of fast charging, front-facing speakers, integrated OS with Google, freedom, efficiency and customization. Back to basics, which is better iPhone or Android? You may know better after checking the pros and cons of iPhone and Android discretely. iPhone vs Android, Which Is Better? Make Your Own Choice! iPhone and Android, Who's The Copycat? Nowadays, we see the smartphones becoming more and more the same, from the design, display, camera, to processor and so on. It's hard to define the belonging of a specific technology, so that both iOS and Android gonna to apply it to their own smartphones. Well, iPhone vs Android, who is a copycat? Apple iPhone has improved greatly these years, not only due to its own developed technologies, but also some Android inspired features. Likewise, Android phones are getting more and more similar to iPhone as well. Now let's check what features iPhone has borrowed from Android, and the technologies Android has ripped off from iPhone. 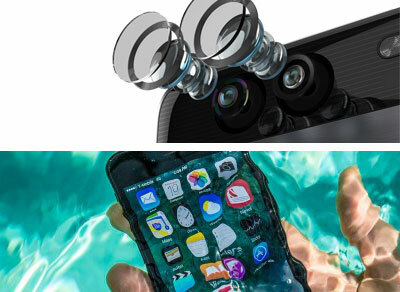 Apple indicates they have focused a lot on camera by including dual cameras since iPhone 7. But it's not a unique feature. HTC launched their smartphone (HTC M8) featuring dual cameras in 2014. And if you are looking at a more premium offering with a dual camera setup, LG G5 is already available at half the price of the iPhone 7 plus and so is the Huawei P9. Android users have enjoyed the raise to wake feature since 2013. With raise to wake, all you had to do was lift your device to wake it up and view the information on your lock screen. No buttons required. It works like a charm. In Android vs iPhone comparison, Google brought raise to wake to the Nexus and Pixel devices, before Apple rolled this feature into iOS 10. Since the 5MP sensor was applied in iPhone 6s/6s Plus, Apple has upgraded the front facing camera on the new iPhones to a 7MP sensor, achieving a higher resolution. You can easily get a 8MP front camera in sub Rs 15,000 segment now. If you think that mid-range Android phones will not match the quality of iPhone 7/8 front camera, take a look at the Gionee S6s or the Oppo F1s. Android has leaded a long time on higher resolution front camera in iOS vs Android comparison. The coming iPhone X is claimed to be featured with Face ID, which means you can accomplish some instructions simply by looking at it, such as unlock your iPhone, comfirm purchases on iTunes and the App Store, autofill for Safari etc. after setting up Face ID on iPhone X. Whereas, the face recognition has been on Samsung devices for years, even though it's queried that Samsung Note 8's facial recognition isn't as powerful as that of iPhone 8 (You can also unblock your Note 8 with your full face photo via facial recognition). Compared to Android, iPhone battery fast drain issue has been complained for years. Though Apple is committed to solve this issue every year, it's not as effective as we expected. But this time, Apple finally improves iPhone 8 battery life through fast and wireless charging. Actually Samsung Galaxy S7/S8 and Note 8 both enable fast charging and wireless charging; Oppo R9/R9S/R11 allow you call for 2 hours with 5 minutes charging. 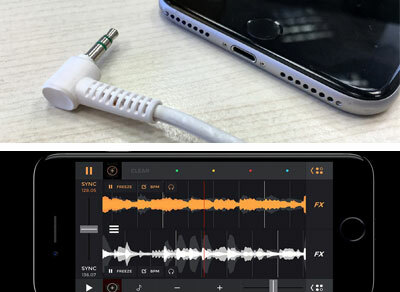 Apple removed the 3.5mm jack in favor of using the lighting port for better audio output. However, we have already seen LeEco offer a similar feature on the LeEco Le2 and LeMax2 using the USB Type-C port a few months earlier than iPhone 7. LeEco also offers a high quality USB Type-C headphones in the box like Apple's AirPods on iPhone 7 and 7 Plus. The iPhone 7 has introduced 2X the number of speakers, and the iPhone 7 is 2X louder than iPhone 6s. That's because of the stereo speakers, which increase the dynamic range of the audio, making it ideal for consuming multimeida content. The HTC 10 already had the stereo speakers before iPhone 7 released. It has a separate tweeter and woofer for each speaker, and the speakers are powered by individual amplifiers. When iOS 9 was released, it introduced a feature that was available only for the Apple tablets: split-screen view. But to compare iPhone and Android, LG and Samsung have been offering split screen multitasking on their smartphones and tablets for ages. On certain Samsung devices after Galaxy S6, Note 3, you can open more than one app on the home screen and resize them with a feature called Multi-Window. A similar feature called QSlide on LG enables you to do the same since LG G3. Apple applied the Apple A10 Fusion SoC in iPhone 7, which is the first qua-core processor for the iPhone by Apple. This new architecture reduces the energy footprint of the chip, allowing for a longer battery life. And the iPhone 8 will come with the next-gen 10nm A11 clip which is faster and more powerful than A10 comparing iPhone 8 and iPhone 7. But this processor has already been achieved on Android months ago before iPhone 7. The Zopo Speed 8 launched in India in July this year, for Rs 29,999 has a 10 core processor. Even back in 2016, Google had evolved its Maps app to include a traffic widget, which gave the user a shortcut for quick access to traffic information. It wasn't until iOS 10 (released September 13, 2016) that Apple Maps began to integrate traffic information. Moreover, Apple Maps also now has third-party integration, which is something Google Maps has had for some time. One of the biggest improvements coming to iOS 9 is a more contextual version of Siri. 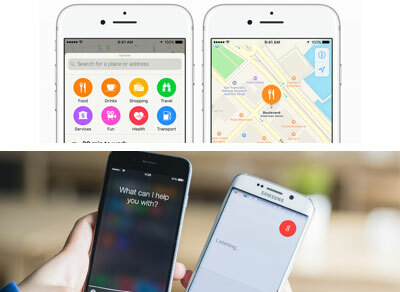 Apple's voice assistant will now be able to communicate with the apps on your phone to offer suggestions. This is something Android's Google Now has been doing for a while. Google Now learns more about you the more you use it, and makes suggestions for you based on your habits. Feel annoyed on what iPhone has copy from Android? 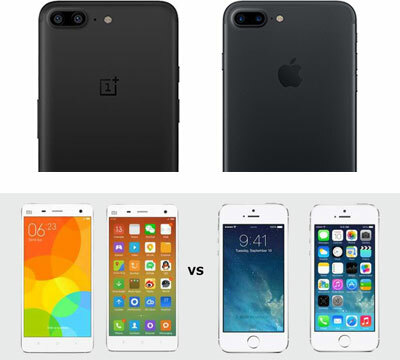 Come on, actually Android has ripped off iPhone as well, even more badly. Steve Jobs famously claimed that Android was a stolen product in comments published in his official biography by Walter Isaacson. " I will spend my last dying breath if I need to, and I will spend every penny of Apple's $40 billion in the bank, to right this wrong," Jobs said. "I'm going to destroy Android, because it's a stolen product. I'm willing to go thermonuclear war on this." Anyway, check what Android had copied from iPhone now. Indeed, the original Android devices didn't resemble today's Android smartphones at all. In fact, Android was originally designed without any sort of touchscreen in mind. But you see, the Samsung Galaxy, Google Pixel, Oppo R sieres etc. become increasingly like iPhones. The OnePlus 5 looks like a complete iPhone 7 Plus clone. And back in 2015, HTC announced the One A9 which looked identical to the iPhone 6 except that its camera bump was placed in the middle of the phone instead of on the side. Furthermore, it's now been more than five years since Apple first slapped Samsung with a series of patent infringement lawsuits for copying the overall look and feel of the iPhone. Apart from the appearance, you can also find some similarities between iPhone and Android when you actually using Android phones. Xiao mi Redmi 2 and iPhone 4 were much similar in this aspect because of the resemblance Xiaomi's MIUI 6 firmware and that of iOS 7. So the two phones looks almost the same on home screen, compass, Settings menu, and camera. You may have a rough intention for iPhone or Android phones, but do you know what's the best smartphone among a myriad of brands and series? 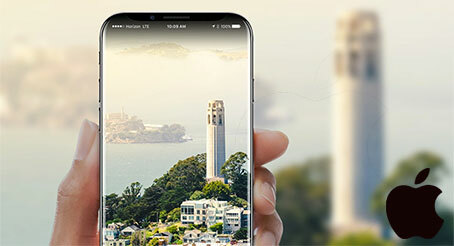 Throughout the best selling smartphones brands, each one has something to brag about, for example, iPhone X vs iPhone 8/Plus, iPhone X is known for the Face ID, upgraded A11 processor and camera, wireless charging; iPhone 8/8 Plus is featured with smooth operating and closed ecosystems; Samsung Galaxy series embrace the big screen, persistent battery, and large RAM. Furthermore, 2017 is a year of full screen samrtphones. 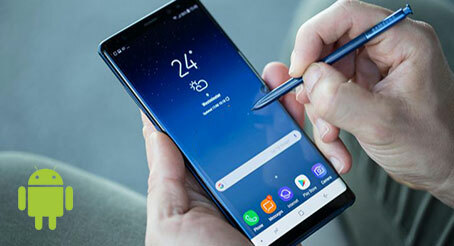 iPhone X, Samsung Galaxy Note 8, Xiaomi Mi Mix2, Huawei Mate 10, LG V30 are all full screened, which gives you a better experience of using phones, watching videos etc. So after the puzzle of iPhone or Android, there comes new troubles: which phone should you choose? A full screen phone or not? I hope the side-by-side iOS & Android flagship smartphones comparison will help you to make a decision. 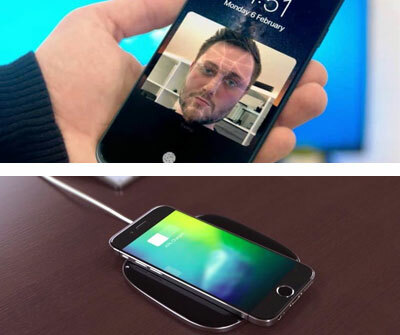 Fast charging with USB-C has been an noticeable feature both for iPhone and Android. And iPhone X and iPhone 8 are Apple's first smartphone to officially support fast charging. However, according to our test and a study from Tom's Guide, iPhone X and iPhone both lag behind competing flagship Android devices in terms of charging capabilities. The fast charging test was done using iPhone X, iPhone 8, Galaxy Note 8, Huawei Mate 10, LG V30, and XiaoMi's Mi Mix 2. Switch to a New iPhone or Android Phone? Backup Old Your Phone First! iPhone or Android, no matter which phone you're going to buy, it would be a tough job to transfer all your data from iPhone to Android or vice versa. And the puzzle core comes to the data backup. For Android phones, things may be much easier since Android has a relatively open ecosystem, allowing users copy and paste data from one Android phone to another. But if you have make your mind to buy a new iPhone, maybe the iPhone 8, you would probably be troubled in how to transfer all your data from Android to iPhone. iOS has a walled-garden ecosystem, which protects your privacy perfectly, but increases the difficulty of data backup and transfer as well. Only by virtue of iOS transfer tools like Move to iOS, MacX MediaTrans, can you backup and transfer files to new iPhone without any data loss. 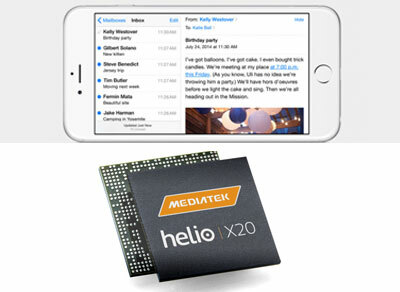 Assume that you're going to upgrade to iPhone 8 to embrace the impressing new features, MacX MediaTrans will help you backup iPhone 6/6S/5S/SE/5 file data to computer fast without space limitation. And after you get iPhone 8/Plus in hand, you can apply this iPhone transfer software to transfer files from PC to iPhone 8/Plus with no data loos at No.1 fast speed. 1. Free download the MacX MediaTrans to Mac or Windows version to PCs. 3. Backup selective data to computer like music, photos, videos, books etc by selecting the respective mode, and disconnect the old iPhone. 4. Activate and set up your new iPhone 8/Plus. Then connect the new iPhone 8 to the same computer with the same steps above. 5. Click Add button to transfer the data to iPhone 8/Plus. The whole process can be done manually in a flash. Backup iPhone 6S/6 Plus/SE/5S/5 Data before Move to iPhone 8! 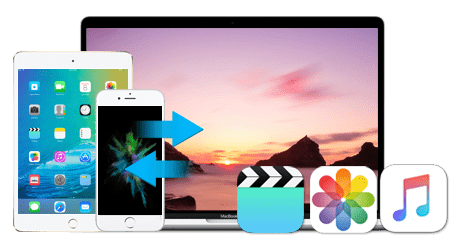 MacX MediaTrans, best iPhone backup tool, which enables you to bulk transfer and backup photos, music, video, iTunes purchases, ringtones, iBooks from iPhone to Mac/PC and vice versa. World's No.1 speed without any quality loss! Eager to Upgrade to iPhone 8? Backup Your Old iPhone Data First!